How do you get on the cover of the paper? Leave town, apparently. I guess it’s the consolation I get for losing my bus pass yesterday. If you’re in Vancouver you can catch me, Dino Archie and Say Wha?! show alumni (and names in their own right) Paul Anthony and Ivan Decker on the cover of the WestEnder this week. I’m humbled, thrilled, flabbergasted, and astonished to be featured. Vancouver is full of great comedic talent, how the heck did I get included in this group? Vancouverites have long since earned a reputation for being as dour as our miserable weather. But like the welcome rays of sunshine on our Vitamin D-deficient faces, the brave women and men of Vancouver’s comedy scene seek to make us smile, or at least have us shoot beer out of our noses. Night after night, they take to the stage in their attempt to take over the world, one laugh at a time. 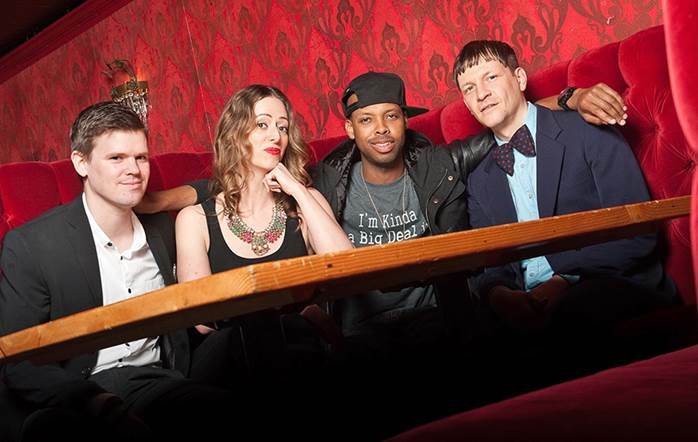 Kelsey Klassen rounds up some local comedy kingpins to find what makes them tic. Who are you? Sara Bynoe actor, writer, host and producer of Teen Angst Night and Say Wha?! Readings of Deliciously Rotten Writing. Age? Why do you want to know? Are you trying to steal my identity? Where are you from? Canada. Stop trying to steal my personal information, you crook! What is your claim to fame? I’m the most single woman in Vancouver. What is the Canadian equivalent of “making it”? Getting on The Mike Bullard show. Is that still on? 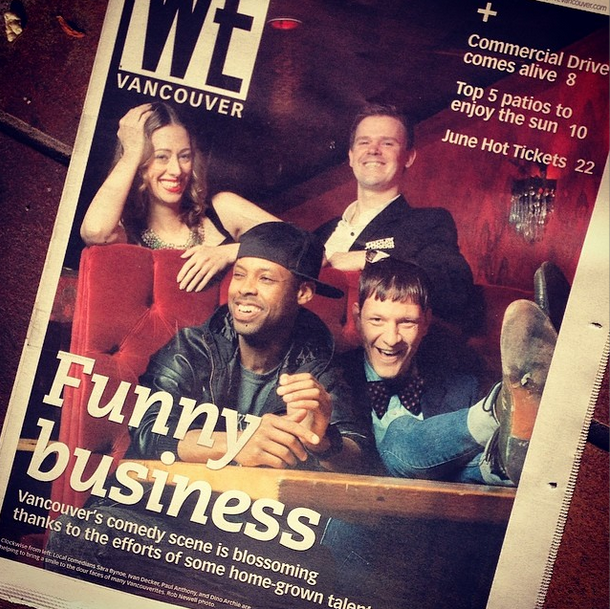 The comedy scene in Vancouver: Still growing, already peaked, booming? Explain… It’s growing. There are so many shows now that I never see my friends in my audience – they’re too busy doing their own shows. Y’all should check out Instant Theatre, Little Mountain, The Laugh Gallery, The Hero Show, Comedy Gems at the Emerald, The Ryan and Amy show, there are also great comedy shows happening at Hot Art Wet City and the Rio Theatre and so many more. It’s the indie comedy scene that inspires me the most. Darkest day so far in the journey? The day I was asked to wear high heels and a trench coat and show up to an audition in Room 306 at Bosman’s Hotel.